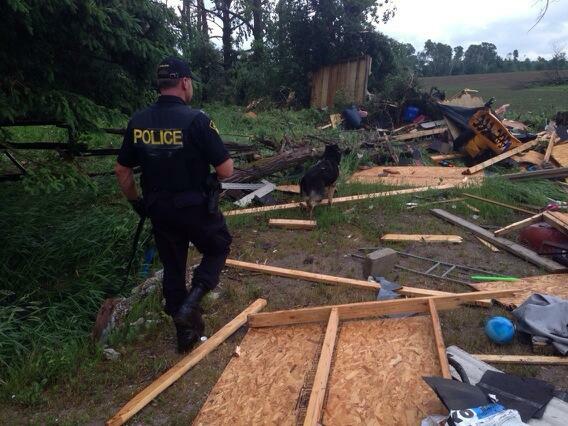 Jun.17, 2014: Angus -> EF2 Barrie tornado + Stroud EF1 tornado - Page 3 - Ontario Storms Site! Lots of watches now. PS: no need to post all watches. We'll just end up flooding the thread with them. Maybe one watch or warning to start a thread, but tornado watches can be posted for different areas. Thanks! Last edited by DarkSky; 06-17-2014 at 06:08 PM. AT 3:45 P.M. EDT TUESDAY 17 JUNE 2014. ORILLIA - LAGOON CITY - WASHAGO. SEVERE THUNDERSTORM THAT IS POSSIBLY PRODUCING A TORNADO. ALSO LIKELY WITH THESE STORMS. AT 4:16 P.M. EDT TUESDAY 17 JUNE 2014. UPDATED OR ENDED BY 5:02 P.M. EDT. AT 5:47 P.M. EDT TUESDAY 17 JUNE 2014. WINGHAM - BLYTH - NORTHERN HURON COUNTY. UPDATED OR ENDED BY 6:30 P.M. EDT. That was an exciting swath of weather, spotted a very clearly rotating wall cloud at 4:44 associated with the cell that prompted the prior warning for the Midland area, had to relocate for safety, sadly i was to busy calling it in and trying to get to a better location to get a picture, then the second cell coming through had straight line winds, probably only 70-80km gust but it did topple this tree branch, also had a close lightning strike as that wave went through, struck some HVAC stuff on top of our local mall while i was at a nearby intersection maybe 50m away. Today was a total dud in Kitchener. 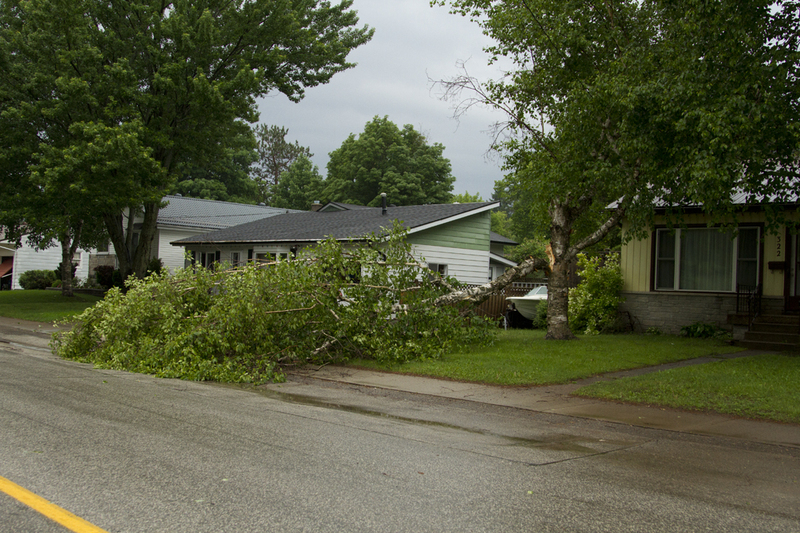 The irony is that the wind prior to any storms was strong enough to bring down many small branches around the area. It must have gusted to nearly 80km/h at a few points. Still though, there wasn't even thunder, just some rain and kind of nice structure. 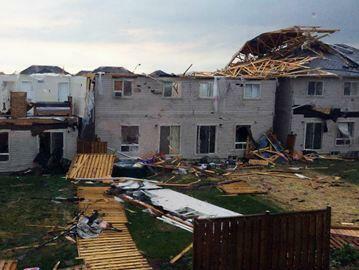 Just got back from Angus...(my sister lives on Stonemount Crecent)..they are fine, but the street is a complete mess. We finally got in contact with her. 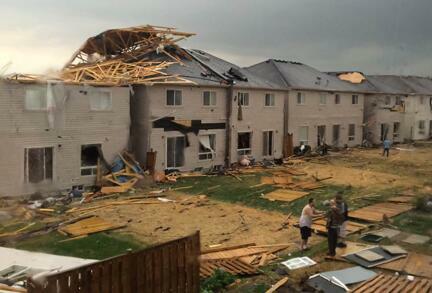 This was the same storm that hit us moments later in south Barrie. This one hit too close to home. glad to hear you and your family are okay.